It’s something we’ve all done – as children or adults – blowing bubbles in water or some other drink with a straw. It’s fun, sometimes messy, and it makes a cool noise. The foam (a word we use for bubbles packed together in a liquid) that we can make in this way is very distinctive, and there is a huge amount of science that needs to be invoked to understand it. But why would you need to understand it? As well as being great fun to make and play with, foams, and their sister system emulsions (oil drops in liquid), are part of the food we eat (and beer we drink), the creams we rub on our skin, and they are at the heart of many processes that industry use to make money. This talk will open your eyes to the curious world of bubbles and droplets. 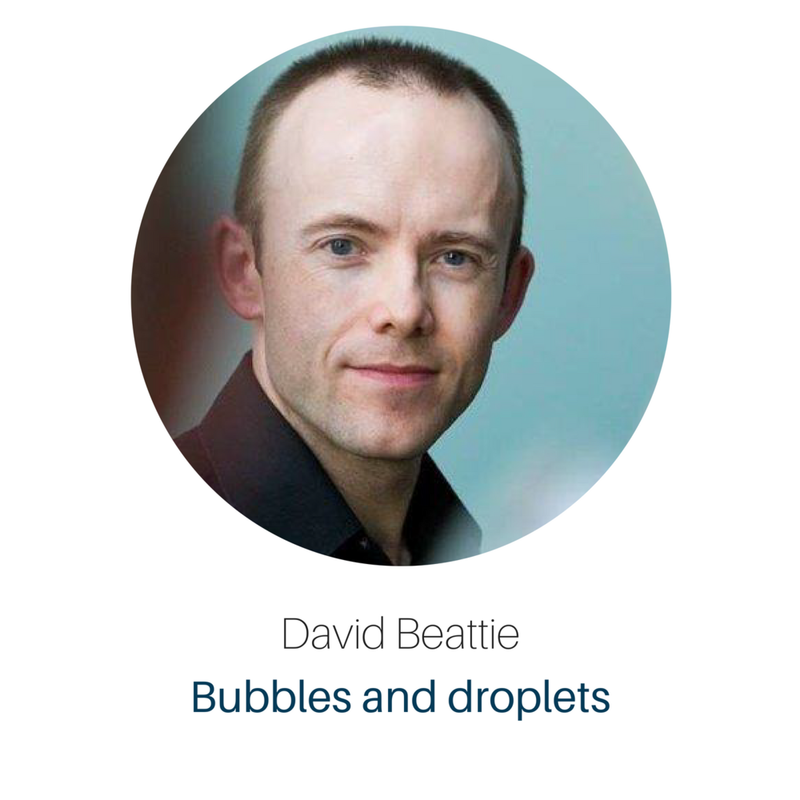 Associate Professor David Beattie is a Research Leader at the Future Industries Institute at UniSA. He spends his days answering fundamental questions in chemistry related to bubbles and droplets, and at the same time using those answers to help industry do and make things better, faster, cheaper, and tastier. Originally from Scotland, he has been in Adelaide for almost 18 years, during which time he has lost all tolerance for cold weather, and will never willingly go anywhere below freezing again.